Result: 6 min and 36 sec. Prize: All squad members get 2500 gold + 11 PvE keys + 200 spare parts each. Prize: All squad members get 1500 gold + 11 PvE keys + 200 spare parts each. 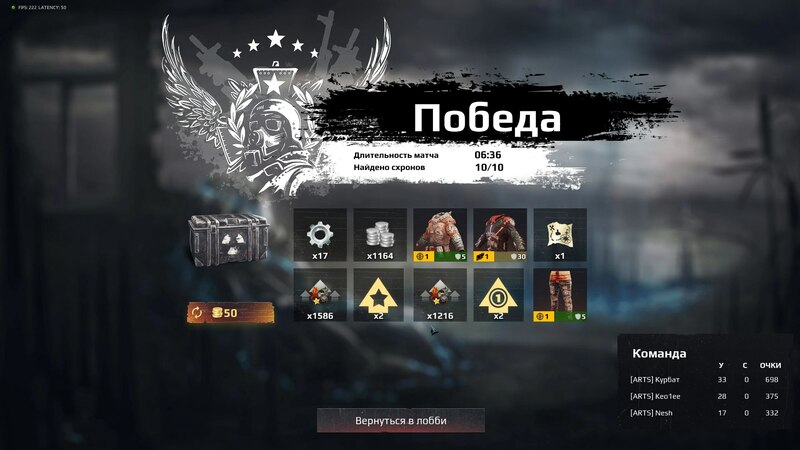 Prize: All squad members get 1000 gold + 11 PvE keys + 200 spare parts each. Additionally, each winner gets a 40% (till December 28, 2017) discount on a Survarium t-shirt! Congratulations to the winners! To receive prizes, please contact us at community@survarium.com. In the subject line write "The Charge contest Survarium"